Well folks, it's officially been a year since we boarded a plane in Detroit with a one way ticket to Germany. Aaron and I were both just thinking about last summer and how stressful it was - packing up our lives, selling our first home together, going on the most amazing two week vacation right before we left, wrapping up loose ends at our jobs, and saying dreaded good byes to family and friends. In all honesty, I can't believe it's been a year. The time has managed to pass both astonishingly fast, and agonizingly slow. I'm not entirely sure how that is possible, but it is. So in celebration of our one year expat-aversary, let's look back on what this year has brought us! We have done a lot of traveling. We've been to Austria, Belgium, the Netherlands, France, Spain, the Philippines, Ireland, Iceland, Sweden, Czech Republic, and Luxembourg. We have many, many more we want to get to before our time here is up. In a few weeks, we will have our first big trip back to Michigan, followed quickly by weekend getaways to London for my birthday and Krakow in October. We are still hoping to get a few more air travel trips in before I can no longer fly. And then we will take to road trips (depending on how everything is going)! We have been fortunate enough to do some incredible diving while we have been living abroad. While the diving in Germany is so so, we were able to dive in the world famous Silfra fissure in Iceland, do over 20 dives in 6 days in the Philippines, and see a summer park underwater in Austria (also known as Grünersee). Now that I am pregnant and officially out of the water until after this baby is born, epic dive trips are on hold (we were thinking about the Red Sea in Egypt). Aaron is still diving locally, but we both agreed that it wouldn't be nearly as much fun to fly to some tropical place known for diving if we both can't experience it. 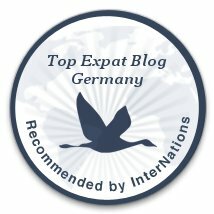 You can read about Germans, be friends with Germans, and know the complete history of Germany, but none of it will prepare you for actually living it. From the time we accidentally sat with a German drinking club at a local wine festival (and suffered the ill effects the morning after) to boarding a party train to Oktoberfest for the day dressed in dirndl and lederhosen, to our interesting experiences with German Halloween and Karnival, we have experienced quite a bit of the German culture. We have also learned what it is like to have everything closed on Sunday, how to enjoy the annual Christmas markets (and drink Glühwein! ), and figured out our regular vendors at the weekly markets. The more mundane stuff was sometimes the biggest challenge: figuring out where to buy medicine (not at a typical drug store, you must go to an Apothek, despite whether or not a prescription is needed), where to get the best prices on laundry detergent, heck, which laundry detergent to buy (I distinctly remember standing in the store, jet lagged, trying to read the 13 billion different types of detergent and figure out which one was most like the stuff we used at home), where the grocery stores are and which ones are good for stocking up on essentials and which ones are good for a quick stop, and figuring out doctors and health insurance. It's been interesting and challenging for sure. This past year has brought a lot of changes and learning experiences with it. It hasn't always been easy, and sometimes we have definitely missed our friends and family in the States more than we expected to, but this has really been the opportunity of a lifetime. This next year is bound to bring even more changes with it, the biggest being the birth of our first child. We do not plan to stop our traveling, but we will have to learn how to travel with an infant (thankfully, I hear they are fairly portable at that age). On this point, if you have any tips or suggestions, please let us know! Thanks for following along on our adventures! We look forward to sharing the next year with you all!